It might be said that Beverly LaHaye was present at the birth of the religious right, starting Concerned Women for America in 1979, the same year as Jerry Falwell launched the Moral Majority. She has been one of many people who have made it their vocation to provide a conservative Christian perspective on the issues of each day and to lobby for policies acceptable to Christians of the political right. Although she began CWA to counter the National Organization for Women, the organization has become one of several Christian conservative groups that are, in many ways, interchangeable in their activities to counter abortion, gay rights, and liberal thought and action. In that sense, LaHaye represents many conservative activists like her, such as Gary Bauer, Tony Perkins, Donald Wildmon, and Janet Parshall. She is the senior member of this group. LaHaye was one of few women to emerge as public figures in the evangelical movement in this generation, although her prominence may be seen as a half-step in this regard because she emerged as part of a tandem with her husband Tim LaHaye, right-wing activist, then best-selling co-author of the phenomenally best-selling Left Behind book series. LaHaye started the Beverly LaHaye Live daily radio program in 1988 “to influence women and men to take political action, build strong families and take leadership in their communities.” The program was awarded the National Religious Broadcasters’ “Talk Show of the Year Award” in 1993 and was on the ari until 2004. LaHaye’s legacy, like those who have shared the same mission and methodology, is hotly debated, not only on ideological grounds, but also in terms of the effectiveness of the frontal attacks on dreadful policies such as legalized abortion, and the ensuing harsh and hateful image that has been successfully cast by their opponents of these conservative Christians. Although one can question the efficacy of pastors and Christian leaders who turned from other areas of work to the political fight, there clearly needed to be a group of professionals who stood up for Christian values in the public realm, and did so as their day job. Beverly LaHaye took up the fight as a second career, after raising her kids, and she has spent her later years as one of the early and few women in the indelicate role as an evangelical storm trooper in the Washington. LaHaye has been frequently recognized for her leadership in the political and Christian community. 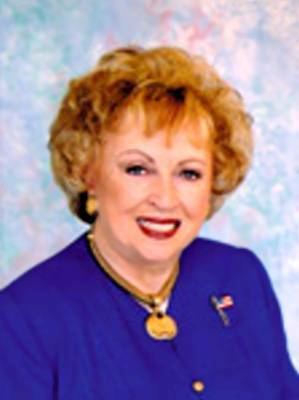 In 1984, she was named “Christian Woman of the Year.” In 1988, she was named “Church Woman of the Year.” In 1991, she received the Southern Baptist Convention’s “Religious Freedom Award.” The Values Action Team of the U.S. House of Representatives honored her in 1994 for her service to the country. In 1992, Liberty University awarded her an Honorary Doctorate of Humanities for her lifetime achievement in protecting the rights of the family. LaHaye currently serves on the boards of Liberty University, Childcare International, and the International Right to Life Federation. She and Tim LaHaye have four adult children, nine grandchildren and seven great grandchildren. They live in Southern California. 50 leaders of the evangelical generation: #38 Doug Coe. Stealth networker.